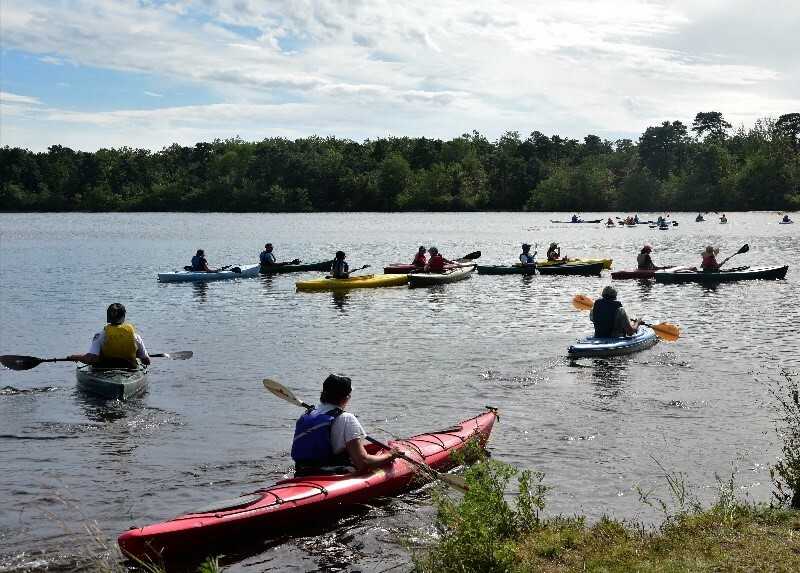 (18/P073) TRENTON – A celebration of the outdoors and fun activities around the state will be showcased Sept. 8 and 9 during the New Jersey Department of Environmental Protection’s 9th Annual WILD Outdoor Expo in Jackson Township, Commissioner Catherine R. McCabe announced today. The two-day expo at the Colliers Mills Wildlife Management Area in Ocean County will be held from 10 a.m. to 5 p.m. The event is rain or shine. Admission and parking, as well as most activities, are free. Other activities may require a minimal charge. The expo will have more than 100 conservation and environmental exhibits, demonstrations and seminars to highlight New Jersey’s outdoors heritage. 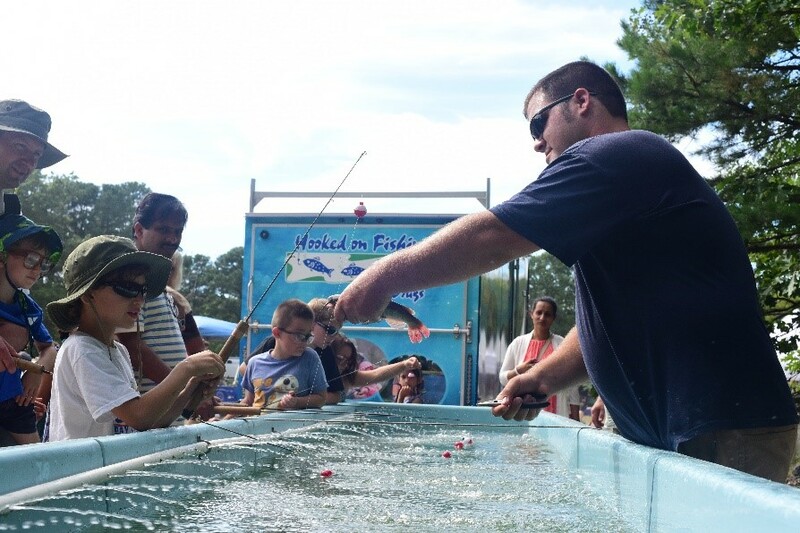 One of the expo’s annual highlights is a giant mobile aquarium, which will hold a variety of warm water game fish from the Charles O. Hayford State Fish Hatchery in Hackettstown. Casting and fishing demonstrations as well as instructional tutorials for new anglers are planned. In addition to the mobile aquarium, expo visitors can sharpen their camping and backpacking skills, try archery, learn about osprey platform building, improve their tree identification skills, and see raptors up close. Other activities will include zip lining, stand-up paddle boarding, nature photography, and outdoor learning on a variety of activities from fishing to kayaking, rock climbing, shooting sports and wildlife watching. “The expo is a great way to see the many wide-ranging recreational opportunities we have in New Jersey,” Division of Fish and Wildlife Director Larry Herrighty said. “It is truly a one-stop event for learning how to explore, experience and enjoy the great outdoors." Numerous exhibits, demonstrations and seminars scheduled at the expo will focus on air, water, soil, flora, fauna and history. Experts will be available to discuss fishing, hunting, scuba diving, forestry stewardship and much more. The expo will also feature an equipment flea market offering outdoor recreation and other environmental-related products for purchase. Refreshments will be available from a variety of food trucks and vendors. Many of the free activities and programs at the expo can help fulfill Boy Scout and Girl Scout badge requirements. For a complete list of free scout badge activities and expo events, as well as directions to the Colliers Mills Wildlife Management Area, visit www.wildoutdoorexpo.com. The WILD Outdoor Expo is sponsored by the Division of Fish and Wildlife, State Forest Service, State Forest Fire Service and the State Parks Service, as well as the Conserve Wildlife Foundation of New Jersey. For more information on New Jersey’s wildlife management areas, visit www.njfishandwildlife.com/wmas.htm. Like the Division of Fish and Wildlife Facebook page at www.facebook.com/NJFishandWildlife and the State Parks, Forests & Historic Sites Facebook page at www.facebook.com/NewJerseyStateParks/. Follow the Division of Fish and Wildlife on Instagram @newjerseyfishandwildlife and the State Park Service @newjerseystateparks.